Austin David Apartments ExCeL in London is an apartment building. 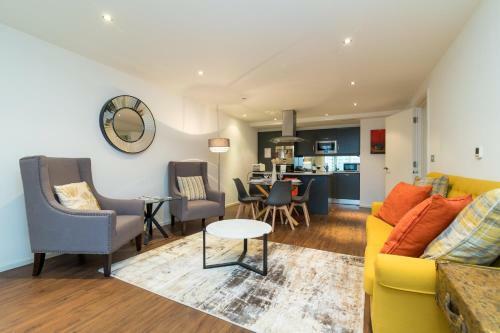 Located in London, Austin David Apartments Royal Victoria offers a self-catering apartment with free WiFi access throughout 200 metres from the Docklands and 600 metres from Canary Wharf. The apartment features a balcony and comprises a living room with flat-screen satellite TV, a fully equipped open-plan kitchen with a dining area, and bathroom facilities with a bathtub and a shower. It has a washing machine as well as ironing facilities. Guests can prepare meals in the property's kitchen and v...isit one of the many restaurants in the surroundings of the accommodation. Several supermarkets are also located within walking distance from the property. The O2 Arena and North Greenwich are located 1.7 km from Austin David Apartments Royal Victoria. London Heathrow Airport is 30 km away. 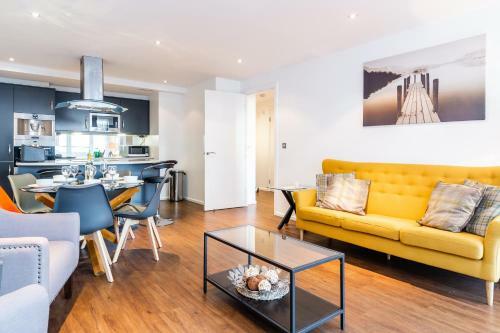 Located in London, Austin David Apartments Royal Victoria offers a self-catering apartment with free WiFi access throughout 200 metres from the Dockla...nds and 600 metres from Canary Wharf. The apartment features a balcony and comprises a living room with flat-screen satellite TV, a fully equipped open-plan kitchen with a dining area, and bathroom facilities with a bathtub and a shower. It has a washing machine as well as ironing facilities. Guests can prepare meals in the property's kitchen and visit one of the many restaurants in the surroundings of the accommodation. Several supermarkets are also located within walking distance from the property. 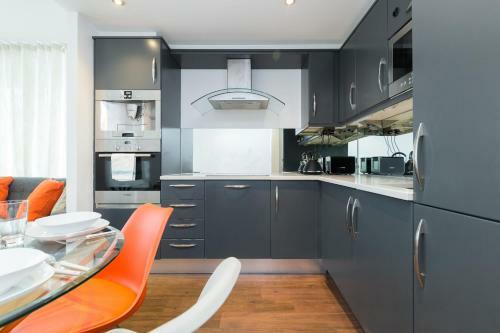 The O2 Arena and North Greenwich are located 1.7 km from Austin David Apartments Royal Victoria. London Heathrow Airport is 30 km away. When would you like to stay at Austin David Apartments ExCeL? Accepted credit cardsVisa, Euro/Mastercard, Diners Club, JCB, Discover, Solo, UnionPay credit card. The accommodation reserves the right to pre-authorise credit cards prior to arrival. A damage deposit of GBP 300 is required on arrival. You should be reimbursed on check-out. Please inform Austin David Apartments ExCeL in advance of your expected arrival time. You can use the Special Requests box when booking, or contact the property directly with the contact details provided in your confirmation. Guests are required to show a photo identification and credit card upon check-in. Please note that all Special Requests are subject to availability and additional charges may apply. This property will not accommodate hen, stag or similar parties. Please note that guests at this property are eligible to receive a complimentary OYSTER travel card on arrival. This card can be topped up by guests. The card must be returned to the property on check-out. Please note that late check-in can be accommodated for an additional fee of GBP 25. 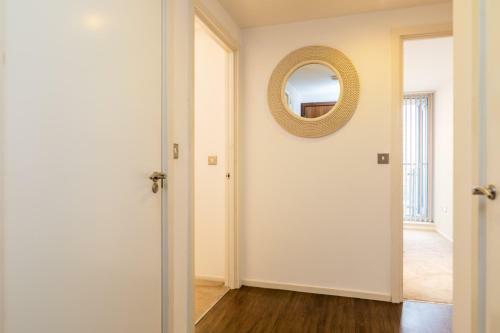 This property can arrange a pick-up and drop-off service to the apartment for an additional cost. For more information, please contact the property using the details on your booking confirmation email.